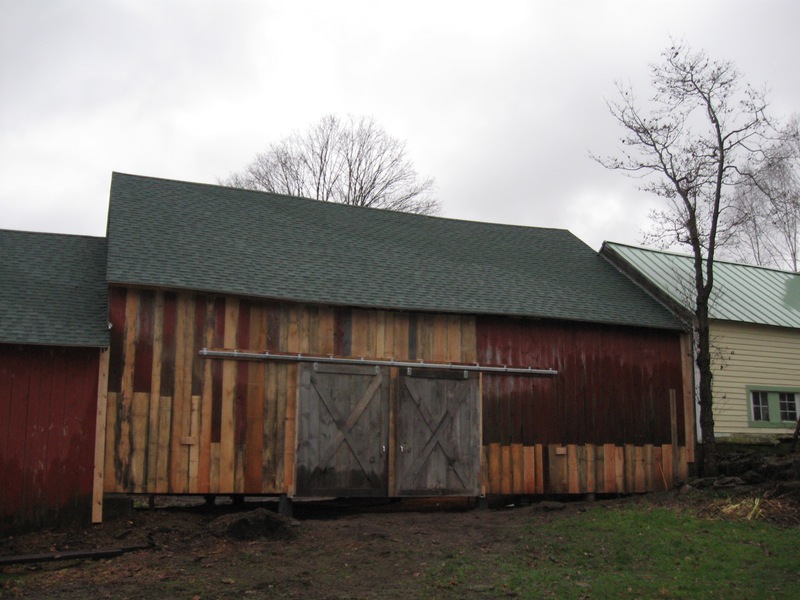 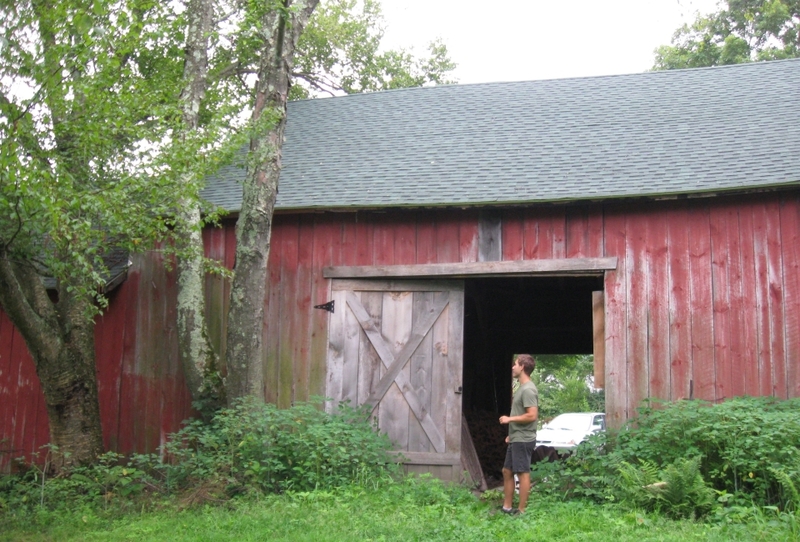 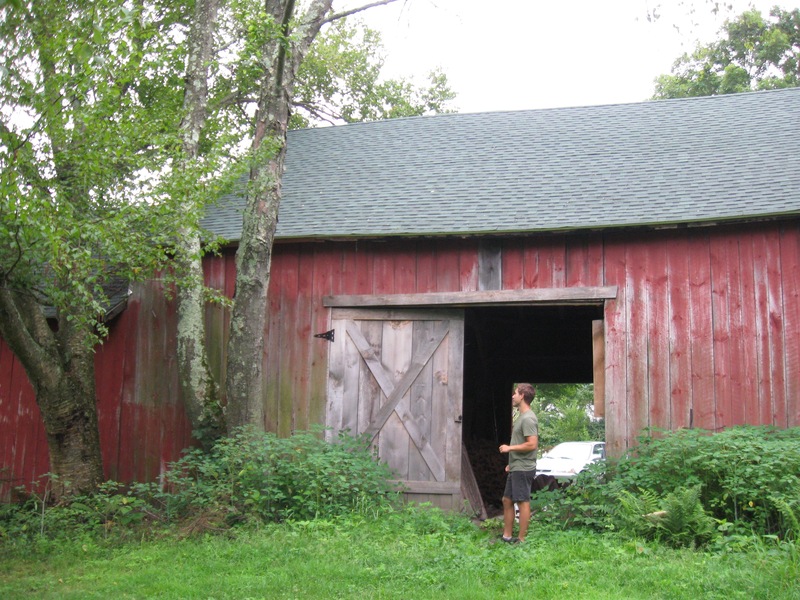 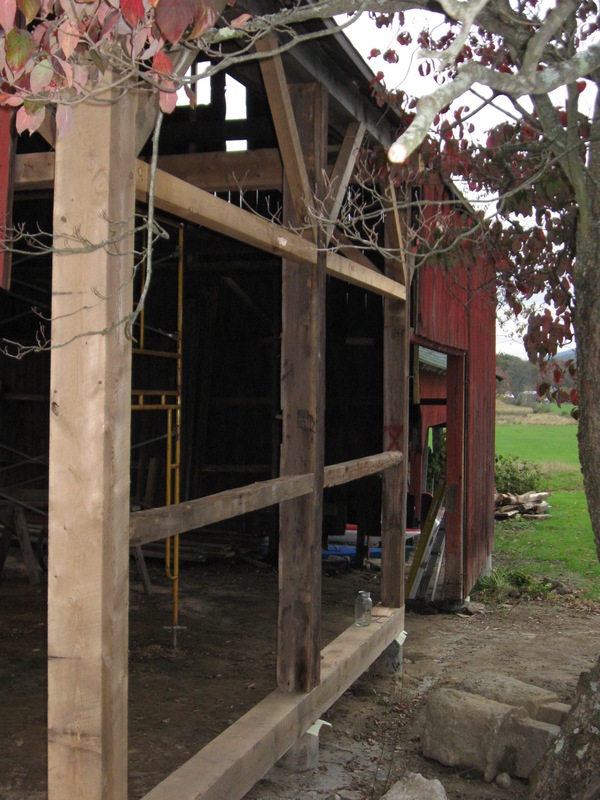 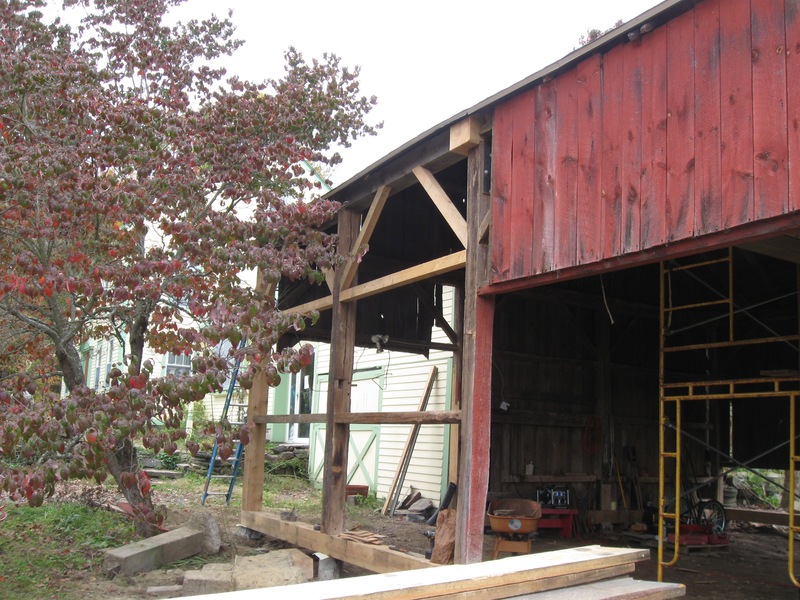 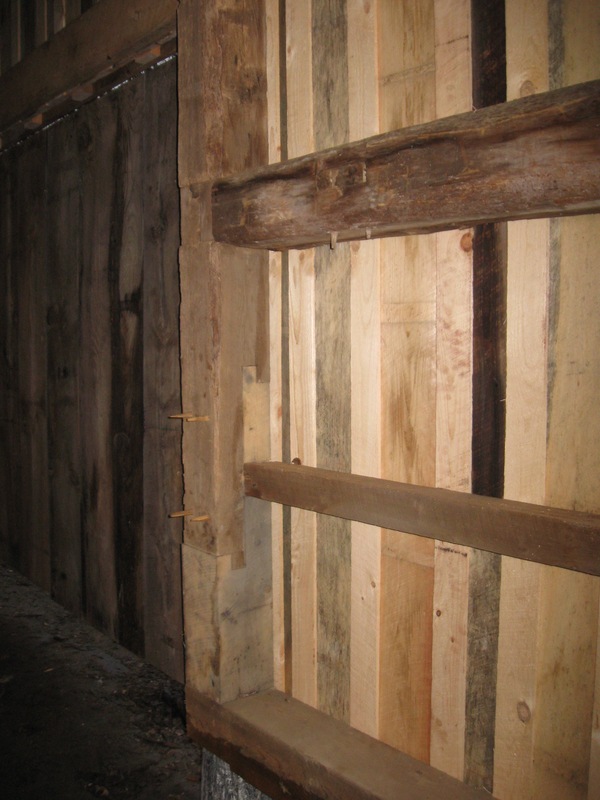 During the fall of 2011, we renovated a beautiful mid-nineteenth century timber-framed barn in South Deerfield, MA. 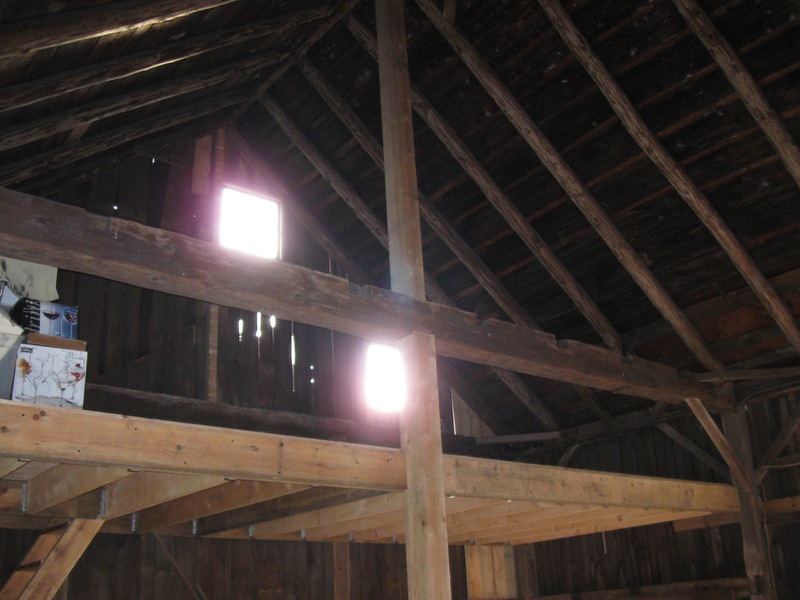 The barn had weathered decades of neglect, as well as two rather unsuccessful ‘restorations’ in the past 60 years. 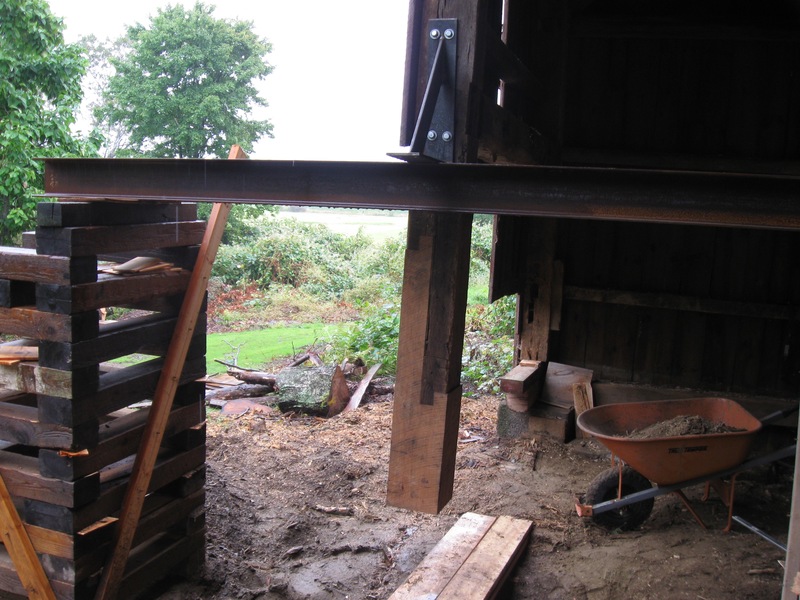 Work included lifting the barn to replace post-bottoms and sills and install new foundation piers, repairing a tie beam, adding ridge posts, replacing several sections of rotten top plate, adding a loft floor, and various other repairs. 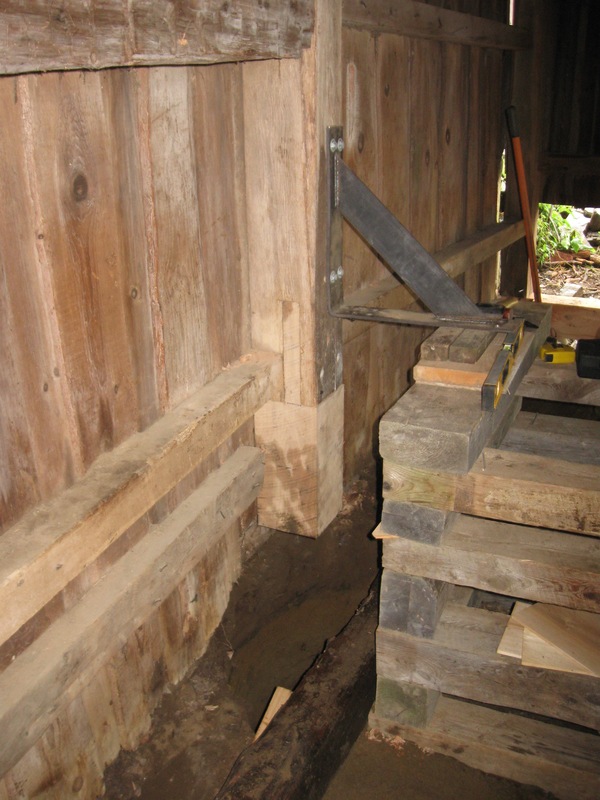 Due to a limited scope of work and budget, true timber-framed repairs weren’t always possible, and I occasionally used some custom steel brackets to reinforce some joints, a first for me. 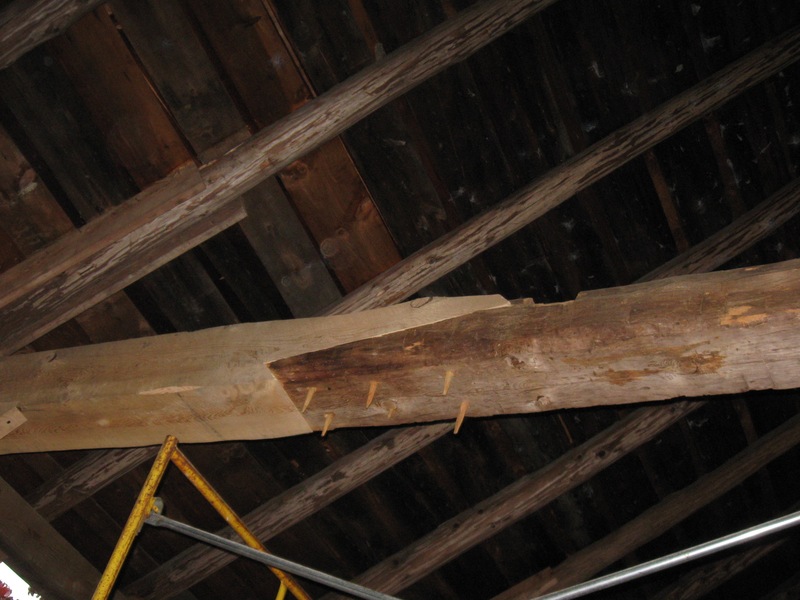 I prefer true wood-to-wood timber repair, but in some rare cases, brackets can be appropriate.